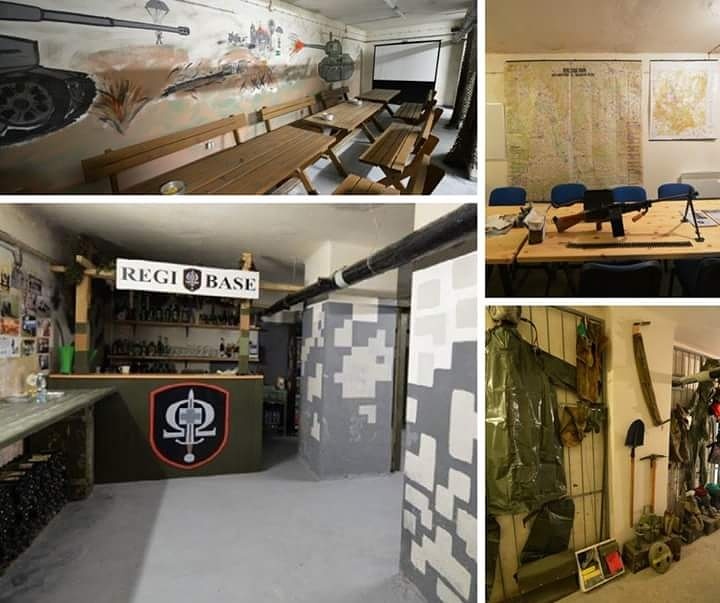 Endowment Fund REGI Base, which helps not only modern war veterans, but soldiers, police officers or firefighters, for them this year plans to open a new community center in the premises of a bunker 50. years in Prague. Instead it will serve not only for social gatherings of, who served as Czech Republic, but also for lectures and training for public. Meat bunker in the street would serve as a shelter for the civilian population of Prague 1. With the newly renovated premises under the Old Town organization has REGI Base, who cares about veterans fifth year, clear plans. Instead he wants to use for leisure and work activities, and training and public lectures. "There will be background, which extends to 350 renovated space m². We provide a small bar, fitness, training and lecture room and offices for administrative and operational agenda of economic, veterans to be able to work and operate the facilities in the center of Prague,"Says the founder of the Foundation Czech Republic Hynek. "The advantages we see in the bunker to help man, which is no longer able to work all day and does not charge. Here are some fun, excited for some work and activities. People, who come this way in quotation marks for everything, and they have no possibility of self-realization,"Said Ilona Fabianová, the wife of a former military police officer Attila Fabian. War veteran Fabian served twice in peacekeeping units in Iraq. After returning three years ago, he burst aorta and almost died. Two years ago, his condition did not improve, doctors gave him almost no hope. Currently he is rehabilitating a unique robotic exoskeleton devices, who bought REGI Base for injured war veterans. They learn to walk and talk again. According to his wife Center would like to attend three times a week. The bunker areas are also planned, for example, self-defense courses for women and exercises for elementary and secondary schools focused on education, how to proceed when catastrophic scenarios. Workshops led by former members of the army or police.